....The English living in Jamaica called the avocado an alligator pear. Some speculate that they were comparing the skin to that of an alligator. Others say alligator was a corruption of ahuacatl. In Jamaica today the people call the avocado a pear. The Dutch called it avocaat; Spain abogado; France avocatier; Trinidad and Tobago zaboca, Even George Washington, First President of the United States, wrote in 1751 that agovago pears were abundant and popular in Barbados. • An avocado is a fruit and not a vegetable! It is actually a member of the berry family. 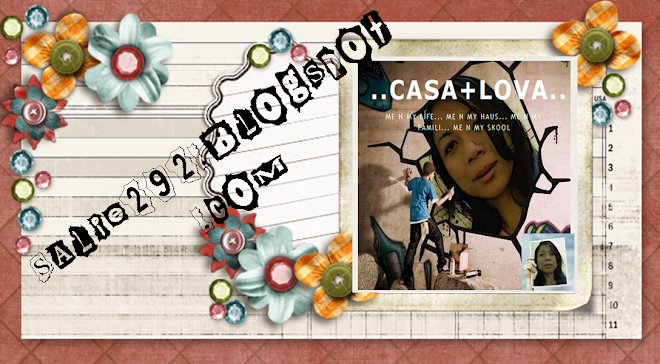 • In the past, the avocado had a well-entrenched reputation for inducing sexual prowess and wasn't purchased or consumed by any person wishing to protect their image from slanderous assault. 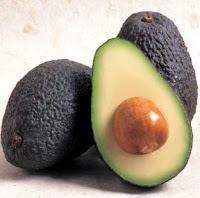 Growers had to sponsor a public relations campaign to dispel the ill-founded reputation before avocados became popular. • Avocados got their name from the Spanish explorers. They couldn't pronounce the Aztec word for the fruit, know as ahuacatl, "testicle," because of its shape. The Spanish called the aguacate, leading to the guacamole we know today. • Avocados must reach full maturity before they are picked, however, they do not soften on the tree. The tree can actually be used as a storage unit by keeping the fruit on the tree for many months after maturing. You probably heard that avocados are fattening and stripped them from your meals. But here's the real scoop: Avocados contain nearly 20 vitamins and minerals and are high in healthy fat. When used in place of other fats, like mayo or butter, avocado can be a nutritious addition to a calorie-controlled diet. One ounce of avocado -- about 3 thin slices -- has just 50 calories and 4.5 grams of fat. Don't go overboard: Think of it as a condiment and slice some into a salad or spread it on toast. 1. Avocados contain 81 micrograms of the carotenoid lutein, which some studies suggest may help maintain healthy eyes. 2. Avocados are included in Fruits & Veggies-More Matters™ consumer educational program to promote increased consumption of fruits and vegetables for good health. 3. Avocados contribute nearly 20 vitamins, minerals and beneficial plant compounds that can contribute to the nutrient quality of your diet. 4. Avocados, due to their mono and polyunsaturated fat content, are a healthy substitution for foods rich in saturated fat. 5. One-fifth of a medium avocado (1 oz) has 50 calories and contributes nearly 20 vitamins and minerals making it a good nutrient choice. 6. Avocados contain 76 milligrams beta-sitosterol in a 3-oz serving of avocado. Beta-sitosterol is a natural plant sterol which may help maintain healthy cholesterol levels. 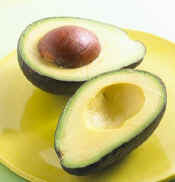 The avocado's smooth, creamy consistency makes it one of the first fresh fruits a baby can enjoy. Sodium- and cholesterol- free, avocados contain valuable nutrients including 8% of the recommended Daily Value (DV) for folate; 4% DV for fiber and potassium, 4% DV for vitamin E; and 2% DV for iron. A serving of avocado also contains 81 micrograms of the carotenoid lutein and 19 micrograms of beta-carotene. Per serving, avocados have 3.5 grams of unsaturated fats, which are known to be important for normal growth and development of the central nervous system and brain. • Avocados can help consumers meet the dietary guidelines of the American Heart Association, which are to eat a diet that is low to moderate in fat. • The fats should be primarily unsaturated and low in saturated fat and cholesterol. The avocado is virtually the only fruit that has monounsaturated fat. • Avocados help assist consumers in meeting a major dietary goal of reducing saturated fat in the diet, when they are consumed in place of saturated-fat containing foods. • When used instead of other fats, avocados contribute nearly 20 vitamins, minerals and phytonutrients and can be part of a calorie-reduced diet. • Avocados can be a satisfying addition to a calorie-reduced diet, when they are eaten in lieu of other fats. • When enjoyed in place of other fats, avocados can be a satisfying addition to a calorie-controlled diet. ...antara fact about avocado yang pnh aku baca n jumpa.wow!best ke this fruit r vege ni..n one day,i bought at giant.rm3.00 sebiji u...mahal 2.ni like a prestij food la plak.teruja...belah...dan...makan...eeeee...ape ke rase nie.semacam jer..x manis pun.kejap rase lemak,kejap rasa masin...eeee...x beli dah. ...ari 2 kat cameron highland..singah kat kedai nyonya di ringlet..adik..ni buah avocado manyak sedap wooo...rm7.00 sekila.ALAMAK!murahnye...i bought 3 biji.balik umah...makan.ish..awat la sedap pulak..like u eat egg yolk.yum..yum..yum..i finished all. ...kemarin...pegi giant..teserempak avocado lagi.i bought 2.sebiji 2 masih raw.alamak..raw lg sedap dari masak...esok..nak beli lagi la..try la..sedap.